Tested, trusted and guaranteed since 1991, we prove our dedication for details emphasizing function, design and quality in every premium ACCESS® Roll-Up Cover. The perfect combination of innovative fit and finish with exceptional performance enhances your lifestyle while providing legendary reliability. Once you have owned a premium ACCESS® Roll-Up Cover, nothing else will do. Our top of the line ACCESS® Limited Edition Roll-Up Cover allows room for everything, except compromise. The 1-1/2 in. 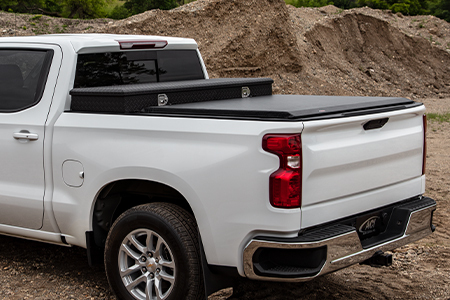 increased capacity design offers additional storage space with four season protection while the XT-DIAL™ Tension Adjuster easily ensures you have the tightest truck bed cover on the road. The five included accessories are designed to increase the functionality of your pickup. 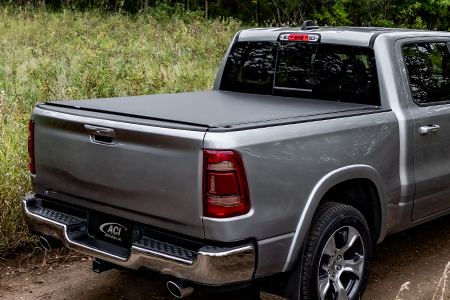 Versatile and capable, the ACCESS® Limited Edition Roll-Up Cover is the premier tonneau cover for you. Durable, dependable and distinguished, the ACCESS® Original Roll-Up Cover provides quality you can trust. 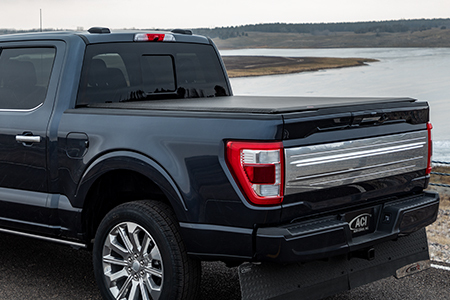 From our reinforced UV protected vinyl to the ease of use, this tonneau cover is designed to meet the most demanding lifestyles. Guaranteed to turn heads, you can always spot an original roll-up cover when you see our exclusive SLANTBACK® Rear Design. 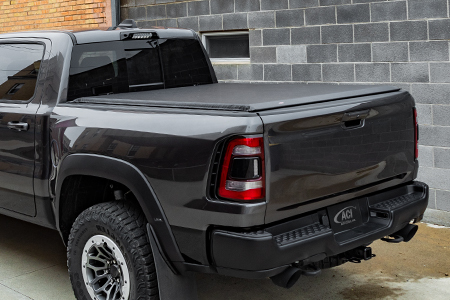 Experience why ACCESS® Original Roll-Up Tonneau Covers are the most popular truck bed covers on the market today. The perfect fit for your lifestyle, ACCESS® LORADO® Roll-Up Covers offer enough capacity to satisfy your passion. The premium 1 in. low-profile design complements the sleek, clean lines of your pickup without sacrificing performance. The patented AUTOLATCH™ II Dual Locking System releases both latches simultaneously allowing you to conveniently roll the tonneau cover wide open for easy hauling. A symbol of quality, satisfaction comes standard with every ACCESS® LORADO® Roll-Up Cover. 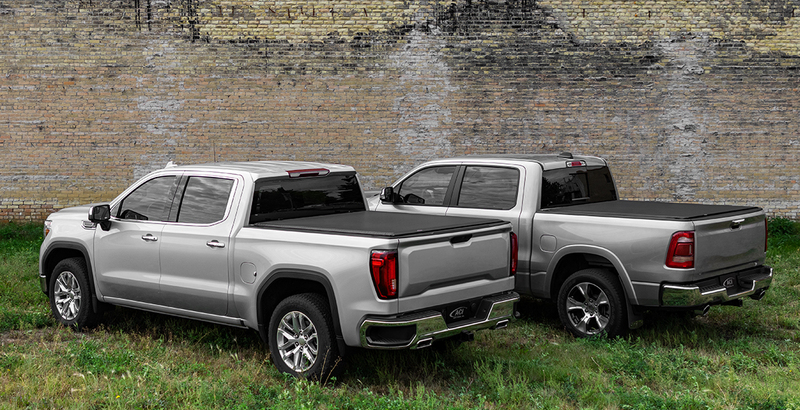 Proof you can have it all, complement your toolbox with a roll-up tonneau cover. Built to fit behind most 19 to 21 in. over-the-rail toolboxes, the ACCESS® Toolbox Roll-Up Cover operates independently to easily load and unload your items. Have confidence knowing your gear is secure and protected from the elements with strategically placed weather seals. Committed to get the job done, the tough and rugged ACCESS® Toolbox Roll-Up Covers work hard and look good. 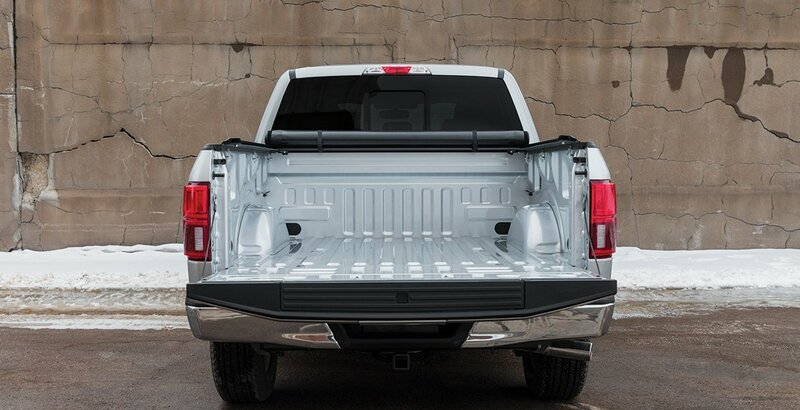 When protecting your truck bed and cargo is a priority, our economical roll-up covers exceed expectations with an incredible low price. The dependable design and quality components ensure long-lasting performance at the best value any price conscious consumer can appreciate. 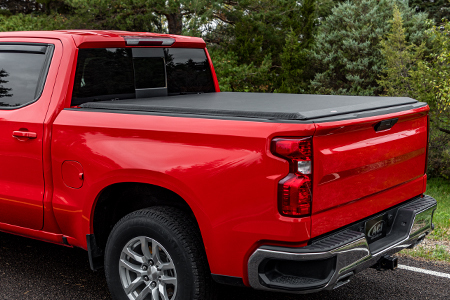 Make your life easier with an American made roll-up tonneau cover. 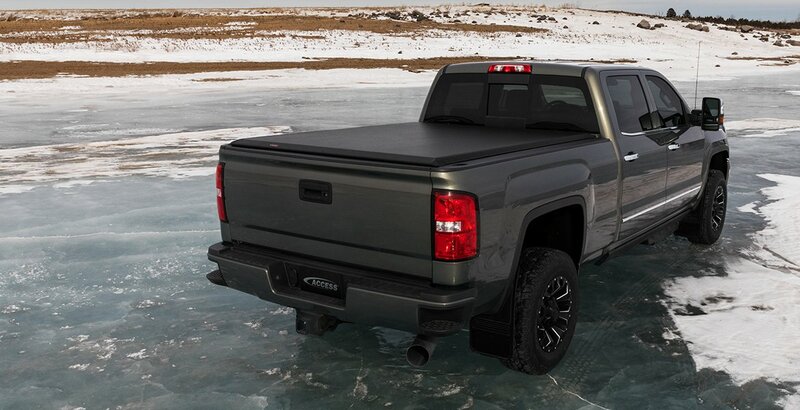 You deserve a truck bed cover you can swear by, not at. Attractive and affordable, the LITERIDER® Roll-Up Cover is the storage solution for you. The exclusively patented style adds the finishing touch to your truck box while the versatile and functional performance maximizes the utility of your pickup. 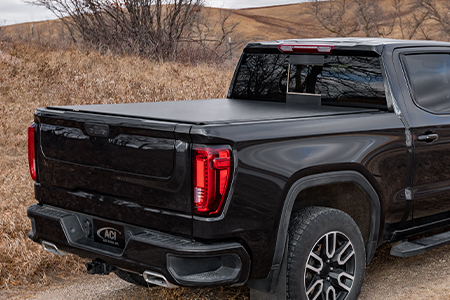 From the increased capacity design to the easy one person operation, carry more gear under this durable, long-lasting tonneau cover. See the quality, feel the difference, LITERIDER® Roll-Up Covers are crafted for great ambitions. Style with attitude, the ultra-sleek low profile VANISH® Roll-Up Cover is designed for everyday use. 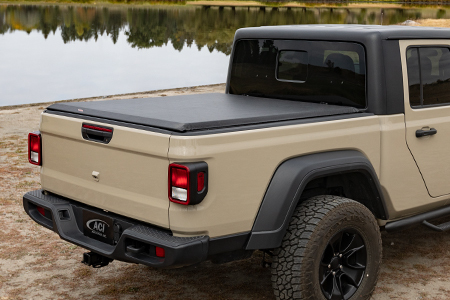 Adaptable to your needs, roll the tonneau cover open for full truck bed usage or keep closed for exceptional protection. The low profile design sits a mere 1/2 in. above the truck box while the XT-DIAL™ Tension Adjuster offers hassle free direct tension control, no tools required. Get cargo ready with the signature style of the affordable VANISH® Roll-Up Covers. It’s your truck with your rules, make it your way. Inspired to do more, the streamlined TONNOSPORT® Roll-Up Cover offers a low profile design with an equally low price. 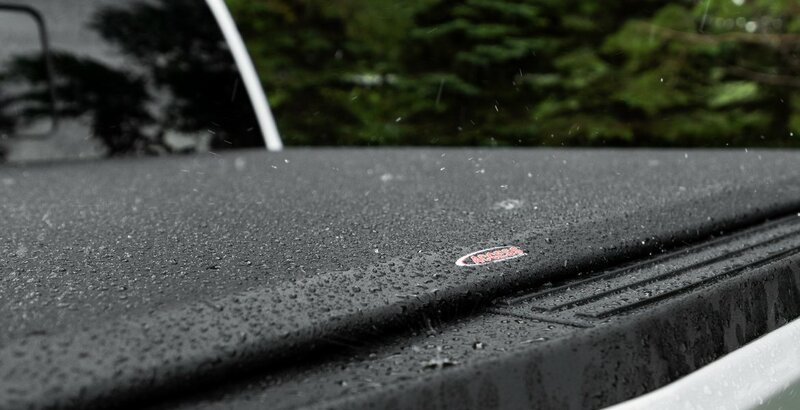 This reliable tonneau cover sits only 1/2 in. above the truck box reducing aerodynamic drag and improving gas mileage. Equipped with a trigger latch and patented Slide Locks for a completely secure system when combined with a locking tailgate. Quality craftsmanship with an affordable price, TONNOSPORT® Roll-Up Covers fit your lifestyle, truck and budget.